What can counsellors do to become better professionals, and ultimately help improve the quality of life of their clients? In this post, we explore 11 ways — both direct and indirect — that counsellors can boost their practical skills and expertise. 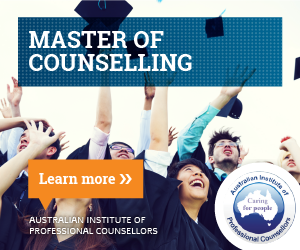 Counselling Microskills include Focusing, Encouragers, Paraphrasing and Summarising, Questioning, Attending Behaviour, Negotiation Skills, Reflection of Meaning, Confrontation, Self-Disclosure, Noting and Reflection, Client Observation, and others. Some of these microskills are also referred to as “influencing skills”. These skills are constantly applied throughout the counselling process to build rapport with clients and to work through presenting issues with them. Counsellors that do not have a commitment to professional development will find it increasingly difficult to practice and this lack of commitment often will affect their level of service. PD options include workshops, conferences, courses, articles and many other learning pathways including online learning (e.g. 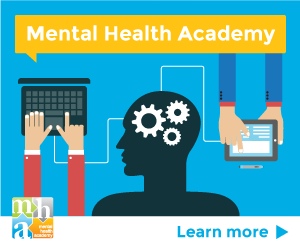 Mental Health Academy) and group supervision. Effectiveness strategies can assist counsellors to become more organised and efficient in their daily tasks. Ultimately, the application of effectiveness strategies will assist a counsellor to improve in a range of personal and professional areas. Effectiveness strategies can include time management skills, emotional resilience, goal-setting, planning, and many other areas. Click here to access a post that explores eight effectiveness areas. There are different theories and models in supervision. There are also different types of supervision (e.g. structured/unstructured, individual/group), each with a range of delivery methods (e.g. live, self-report, audio tape, etc). Counselling-orientated problems, with other factors previously mentioned, have the potential to place counsellors at a high risk of burnout. Understanding how stress and burnout can affect individuals is the starting point to developing strategies that promote self-care and reduce the incidence of burnout. The quest to find balance in life/work situations can be as important as the quest for knowledge. When communicating with clients, flexibility and responsiveness are two important skills a counsellor can have. Different mindsets and emotional states require a particular approach; and the counsellor’s ability to adjust to a client’s needs normally dictates the outcome of that relationship. Also, within a counselling environment, the need may arise for a counsellor to work with clients who appear resistant to change or unhappy with external assistance. Some clients, who may be attending counselling due to a mandated requirement, can resent the fact that they feel coerced into attending. Such clients may cite benefits such as meeting parole conditions or court orders as their only motivation for attendance. Consequently, many individuals can view a counsellor’s involvement in this process as an imposition of their rights and take the view that what is happening to them is in some way the counsellor’s fault. Similar to any interpersonal transaction, an individual’s behaviour can become challenging when they feel threatened, undervalued, judged, or simply if the counsellor they are dealing with appears to have differing goals or desired outcomes than they have for themselves (Roes, 2002). Flexibility here refers to the ability to work with different types of clients under unique circumstances. Whilst a counsellor may specialise in a specific area (e.g. family therapy), there is also value in gaining knowledge and experience in other areas throughout their careers. 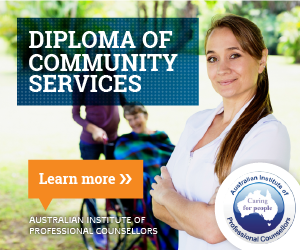 Such areas would include relationship counselling, family therapy, working with difference, multicultural counselling, addictions, loss and grief, group work, and more. Looking at the bigger picture and having an understanding of different circumstances — and emotions and behaviours associated with it — can be a great tool for counsellors when helping others. “Knowing is not enough; we must apply. Willing is not enough; we must do.” (Johann Wolfgang von Goethe). There are many approaches and theoretical models in counselling which can be used either individually or combined when helping clients. Knowing the theory behind these approaches along with applications, techniques, benefits and disadvantages will assist the counsellor in developing suitable interventions for clients with very unique issues/situations. For example, research shows that clients with addiction problems derive great benefit from Motivational Interviewing. Other theoretical models and approaches include: Cognitive Behavioural Therapy, Solution Focused Approach, Gestalt Therapy, Behavioural Therapy, Narrative Therapy, Motivational Enhancement Therapy, Transactional Analysis, etc. Knowing different approaches and techniques equips the counsellor to deal with a variety of client situations. Networking is not only a great way to develop professionally through learning, but also to gain industry contacts that can assist with issues such as supervision, professional collaboration (within the appropriate ethical and confidential guidelines), and referral (e.g. collaboration in case management, or referral when dealing with mental health issues). Colleagues can include counsellors and other mental health/health practitioners such as GPs and nurses. In addition, networking also includes affiliation with industry associations, such as the Australian Counselling Association in Australia. Being a member of an association provides the counsellor with the opportunity to interact with experienced professionals, access industry-standard codes of ethics and practice guidelines, access ongoing professional development information, and more. This is probably the most overlooked of the 11 strategies and it is directed primarily to self-employed counsellors — or counsellors who manage an area of a counselling business. Running an effective practice with well established systems is a primary factor which affects the level of services that a counsellor provides. And that’s for obvious reasons — whether the counsellor owns or works for a business; if it is disorganised, lacking appropriate policies and procedures, and it doesn’t provide a suitable environment for the client to experience the counselling process, it will affect the overall level of service. In addition, counsellors who run practices that are ill promoted, lacking appropriate referral and marketing systems will find increasingly hard to get clients. And despite how good the counsellor is, if they don’t find clients they won’t be able to provide much help. Different ways counsellors can promote themselves and find new clients include: networking, focusing on a niche, utilising effective communication mediums, etc. Volunteering in the not-for-profit or community sector is an effective way to learn more about working in a counselling or similar support role. 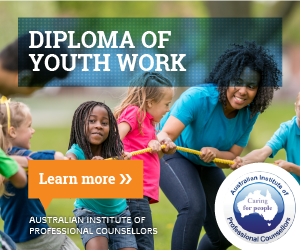 Not only do counsellors have the opportunity to apply skills and knowledge, but they also to gain the experience of actually working in a community organisation. Volunteering is also a confidence-booster with the added bonus of feeling positive about contributing to the community; an excellent practice to build the counsellor’s resume/profile; and it provides an abundant source of contacts for networking. i am an intern social worker, and i currently work in a palliative care institution. your tips have really helped and i feel really knowledgeable now. thank you so much. How can I do well in my academic activities? Am a practicing counselling in Kenya and delighted on this article and looking forward to network with AIPC. yes I have started my own career guidance firm and liked the article ….if I could be told more about counselling process . Am grateful of your tips,thanks for the good work done. David Selassie from Ghana.